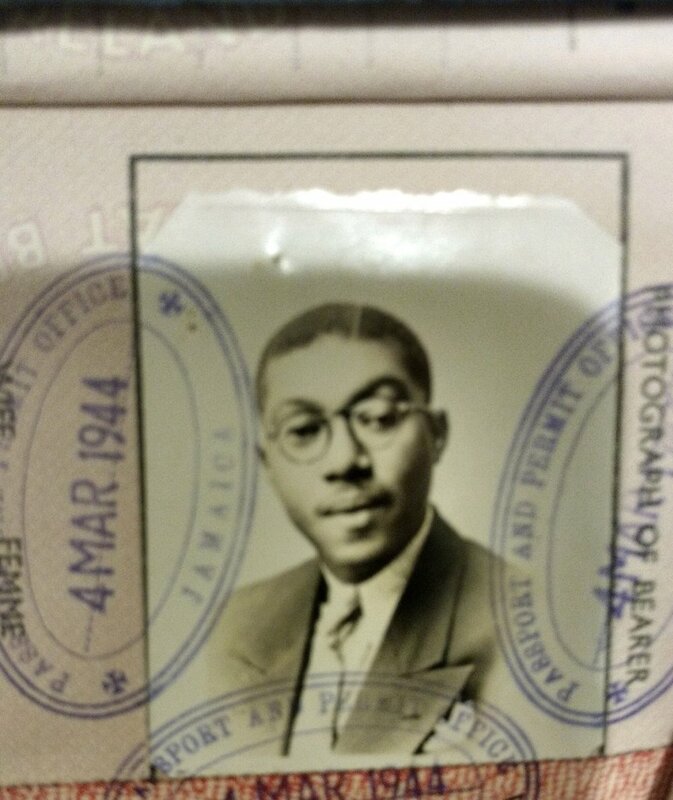 My grandfather’s passport to move to America to be with my grandmother and mother. Today I celebrate another year around the sun, and it brings back old memories of how I would celebrate my big day. I was born on January 24, the same day as my grandfather Sidney. We share a middle name, Noelle/Noel and if I’m lucky enough to have a child, I will pass down the name. Every year, I would celebrate with my grandfather. We would have joint birthday parties at my childhood home, where close family friends, family members, and my school friends would come together and party through the thick of the weather. I cannot remember ever feeling jealous or frustrated that I had to celebrate my birthday with my much older grandfather because he was the sweetest. In fact, for many years he was the only male figure in my life, and he was a great one. Sidney and Abigail were married for 53 years. 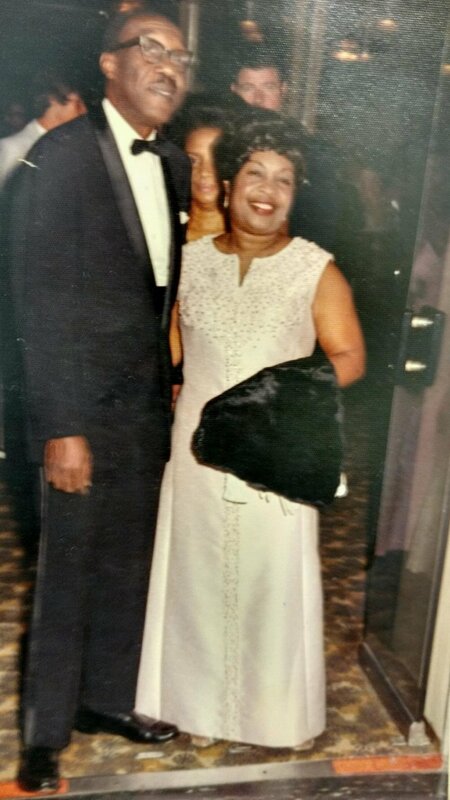 I used to call him Dar instead of grandpa or granddaddy which helped me tremendously when I had to memorize my address, as I lived on Darwood Place as a child. Dar used to pick me up every day from school, and each time he’d ask what I wanted to do. Sometimes I just wanted some candy from the bodega, and he’d let me pick out as many sweets as I’d like. Other times I just wanted someone to hang out with, and he was willing to turn the rope as I jumped multiple times or play house with me and my Baby Alive, Cinderella Mariah or watch cartoons. I have such fond memories of our quality time together. Dar wasn’t a man with many words, but I never felt like he much rather read the newspaper than having a tea party with me. 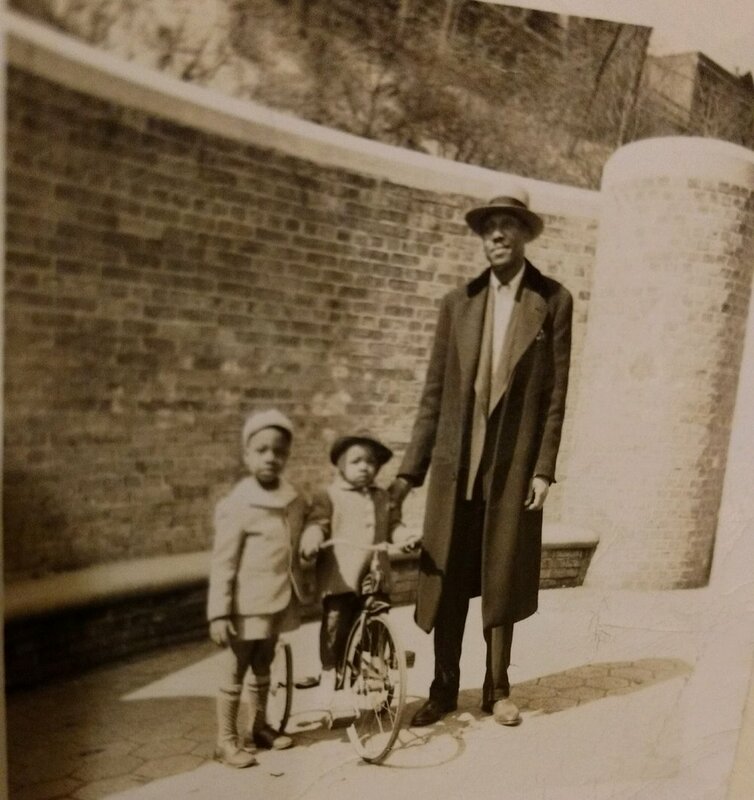 My grandfather (right) with my uncle Fitz (left) and my mother, Sydnia (middle). Our bonding time and birthday celebrations were cut short as he got sick and passed away shortly after when I was 7. He got hurt the day after our birthday party and hospitalized that evening. It was my first experience with death, and I no longer had my afternoon buddy. I remember that being a prime time for a lot of emotional distress in my life that I was unable to communicate. The book Charlotte’s Web helped me cope with his death, and it always holds a special place in my heart. Today isn’t just a day I grow older and hopefully wiser, it’s another day where I cherish the day I got lucky to be born on my grandfather’s birthday. And I pray every day I find a man who exudes what I loved most about Sidney.